While Bazan hardly signed a contract with fans, the singer intimated at various stages during 2002 that his next project would wrap up a trio of concept albums. Not so. Unmistakably concept-free, Achilles’ Heel hearkens back to Pedro’s debut LP, It’s Hard To Find A Friend, reminding us that Bazan cares nothing for punch lines, just punches. These tunes simply refuse to furnish answers, spoonfed judgments or easy Ziplock-tidy moralizing. Not while there’s enough ambiguity and frustration in this world to oil the songwriting gears for another few hundred millennia, at least. In the dreamlike, monosynth-dappled “I Do,” another man ruminates on his newborn son’s delivery: “When his tiny head emerged from blood and folds of skin / I thought to myself / If he only knew, he would climb right back in.” The crestfallen timbre of Bazan’s voice and measured delivery ensures these lyrics collide with your heart at breakneck torpidity. Especially later in the song when he resignedly continues, “Now that my blushing bride has done what she was born to do / It’s time to bury dreams and raise a son to live vicariously through.” If you’re not choking back a lump in your throat at this point, chances are you might need to reboot, my dear android friend. Bazan’s songwriting (at least in recent years) has concerned itself with the human struggle as lived out in a domestic context. What better place to capture all the joy, angst, confusion and fragility of life? The family is, after all, the emotional root that simultaneously nourishes and poisons its offspring; it’s the microcosmic slice of humanity encapsulating all our communal experience. While Heel retains that domestic fascination on many levels, Bazan allows his gaze to wander, instead of hemming the potential for whimsy (yes, whimsy) behind rigid conceptual fences. Case in point, the album’s opener, “Bands With Managers,” a slow-burning dirge of a tune about touring rock stars, the disastrous potential for rolling 15-passenger vans and Bazan’s implicit trust in Pedro bandmate T.W. Walsh’s abilities behind the wheel. “Foregone Conclusions” untethers Bazan’s acerbic wit in the catchiest indictment of dogmatic pestering since “Magazine” on Pedro’s last record, sporting lines such as “You were too busy steering the conversation toward the Lord / To hear the voice of the spirit begging you to shut the f--- up / You thought it must be the devil trying to make you go astray / Besides it could not have been the Lord because you don’t believe he talks that way.” In the mid-tempo pop stroll, “Arizona,” Bazan details a wonderfully bizarre (and quite possibly the first) geographical love triangle, involving an acrimonious struggle between California and New Mexico, both vying for the hand of the apparently fetching Arizona. At the same time Bazan was kicking around the idea of putting out his own musical Return of the Jedi, he was also talking about the end of Pedro. If you’re going to call it quits, that’s what you do: you conclude a trilogy and go out with a sense of closure. 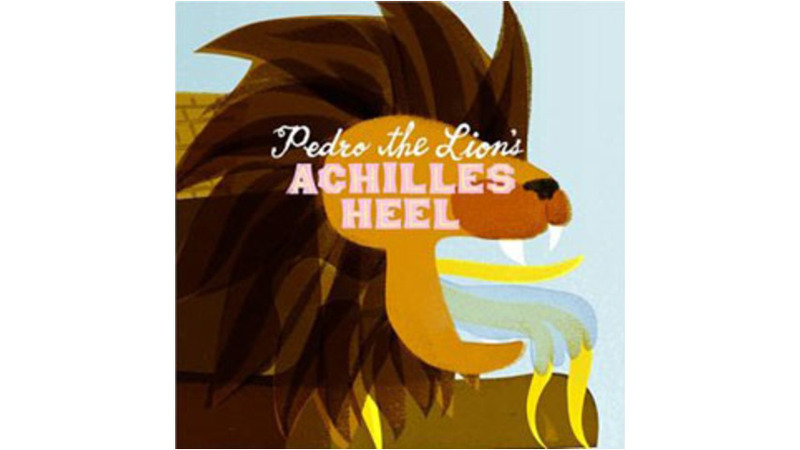 I’d like to think that the diverse, unconcepted universe of Achilles’Heel means that Pedro the Lion plans to stick around for a while, reigning as King of the Indie-Rock Jungle.